The Dakota Condominium in 2 sentences: The Dakota is a quiet, luxurious condominium located two blocks from the Rosslyn Metro. The Dakota is unique not only because it has just 14 units, but because each of its residences features direct elevator access, two private balconies, formal living and dining rooms, and over 2,200 square feet of living space. Not everything in Rosslyn has to be a high rise. The Dakota stands just 7 stories tall, making it one of the shortest luxury condos in Rosslyn. But do not let the lack of height fool you, The Dakota features one-of-a-kind luxury condos in a location that is difficult to match. Built in 2002, The Dakota has 14 residences; two on each floor. The building amenities are pretty much limited to the underground parking and direct elevator access into each condo. But with just a handful of residences, there is not an overwhelming desire to have a wide array of amenities. There is a Gold’s Gym fitness center one block away. And with such a good location, a majority of errands and services are just a short walk away. The other advantage of having few amenities is that the condo fees are considerably less than similarly-sized condominiums (in terms of square feet inside the condo). Of course there is value in having more services and therefore paying more, but for those that do not need valet, concierge, a pool, and other extravagant amenities, The Dakota becomes an enticing housing option alternative to uber-luxury condos like Turnberry Tower or The Waterview. The interior of Dakota condos will feel more like a house than a condominium. All of the 14 layouts will be at least 2,000 square feet and most will be closer to 2,500 square feet. All condos will feature two bedrooms and two and a half bathrooms. Where The Dakota really stands out is in the interior living space. As you walk out of your elevator and step foot into your residence, you are met with a marble foyer that can take you into your living room, or to your dining room. The hallways, layout, and ambiance all feel like you are walking through an upscale single-level house. The only difference is that you are in the center of Rosslyn and you most likely have views of the Potomac River and Georgetown. Another benefit of living at The Dakota is that each unit will come with two private balconies. Outdoor space is always a premium for condo owners. For those keeping score at home, The Dakota has: 2.5 bathrooms, formal living room, formal dining room, two balconies, direct elevator access, and views of D.C. You are going to be able to find some of these features, but finding all of them in one place is extremely difficult. The downsides of The Dakota are few and far between. Turnover is rare. A few Dakota Arlington condos are rented out, but a large majority are owner-occupied. No amenities in the community will turn some buyers off, but it may end up attracting more that are looking for a more relaxed atmosphere. 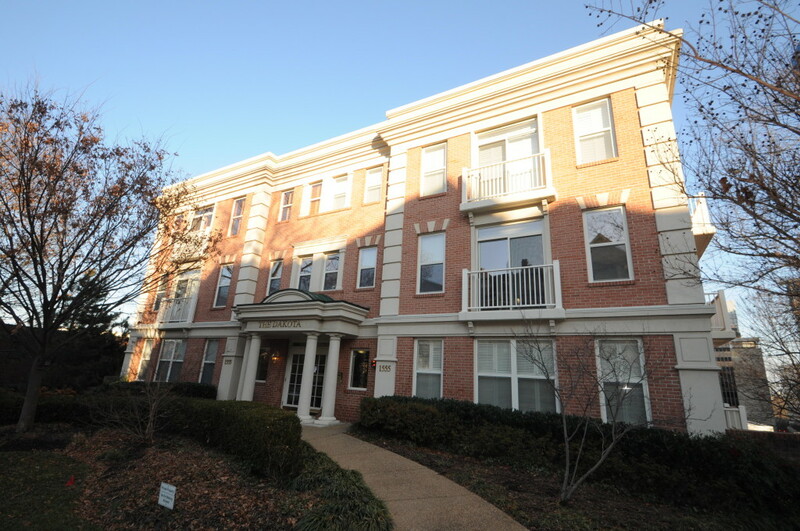 The biggest asset The Dakota Arlington VA flaunts is its single-family home-like living in the middle of Rosslyn. Rare is it to find 2,000 + square feet that does not come with a hefty condo fee as well. Where as similar condos will have fees that will top well over $1,000 per month, The Dakota’s fees are closer to the much more reasonable $750. The Dakota is perfect for convenience living. Two blocks to the Rosslyn Metro. Minutes to Georgetown. And at the end of the day you can retreat to your spacious condo with multiple private balconies.